A dedicated, outsourced technical support team has a breadth and depth of experience that simply can’t be matched by one team member. Why? 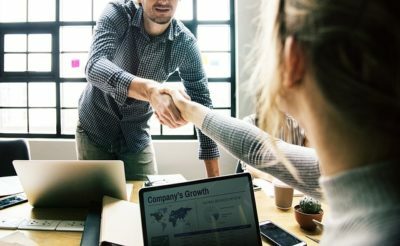 While that one team member has experienced the IT highs and lows of whatever firms he’s worked for during the course of his career, a team of pros that spends all of its time managing the networks and tech resources of dozens of different companies comes into contact with a much wider range of experiences, challenges, and situations. An outsourced team learns about and gains considerable knowledge from troubleshooting all sorts of problems and responding to emergencies. They’ve worked with more types of software, servers, and networks, so they amass a wide range of knowledge more quickly. Also, these teams generally meet regularly and discuss the challenges they’ve run into with their clients and the solutions they designed for them so that they can work to implement these fixes with their other customers. This means you experience the benefits of becoming part of a veritable IT support network of small businesses. What’s more, an outsourced technical support team will likely stay up to date on the latest gateway security services for threats and bugs (along with their fixes), as well as the newest software and a range of useful, innovative technologies. Armed with this information, your team will be better positioned to provide you with proactive support and advice. As great as she may be, a single IT staffer simply doesn’t possess the valuable resources that an IT company does. Of course, he or she can recommend various third-party software, services, and technology that might be useful to your organization, and this knowledge can certainly be helpful. However, an outsourced technical support team can not only recommend services and supports that could help your business run better and faster—it also can provide them to you. An IT company often has its own servers as well as a range of additional services and supports that you can tap into as your business grows. Need managed-backup and disaster-recovery services? (Yes, yes, you do!) An IT company can often offer these. What about managed services like Microsoft Sharepoint? An outsourced IT team may offer these. And how about access to a cloud-based server, an offsite server, or a hybrid network model? Check, check, and check—if you work with an outsourced technical support team. An IT professional may be a great addition to your staff—but what happens if he’s out sick or on vacation when disaster strikes? Even if you have a couple of staffers, a well-timed flu outbreak is all it will take to totally bring down your IT support crew. All you can do then is cross your fingers and hope nothing happens. If it does, though, your business could be brought to a screeching halt until your IT employee recovers. Are you prepared to lose thousands—or even hundreds of thousands— of dollars simply because a stomach bug is going around? When an outsourced technical support team has your back, you don’t have to worry about work stoppages. Disaster-recovery services, business continuity strategy, automated backup, and a group of experts keep you up and running at all times. Even on nights and weekends, our helpdesk is available to address your burning questions and pressing concerns. If you’re a small business of 15 who hires a single IT staffer, that individual is probably going to spend a lot of her time getting new devices up and running, troubleshooting problems, and fixing issues that seem to crop up on a regular basis with email, software, hardware, printers, smartphones, and more. She’ll be so busy reacting that it will be difficult—if not impossible—for her to create and implement a proactive approach to managing your IT resources. With the help of an experienced group of outsourced IT experts, you can make better decisions around technology investments, ensuring they help to maximize productivity and efficiency, support your overarching business objectives, and meet your goals more quickly. Ready to bring on an entire team of outsourced technical support experts? Real IT Care is one of Pennsylvania’s most talented and experienced outsourced IT firms. Give us a call today to discuss how our veteran team of IT professionals can support your business and help you reach your goals!